Providing a lifestyle that delivers both sophistication and natural beauty, One Paraiso has raised to enhance the Edgewater Miami District. The Related Group, in collaboration with a worldwide renowned team including Arquitectonica, Piero Lissoni and Enzo Enea have joined forces to bring this unique condominium masterpiece to life. 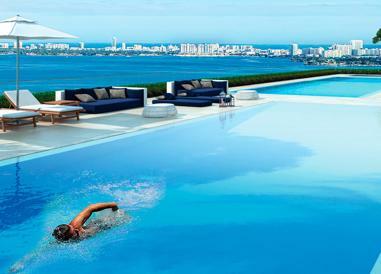 One Paraiso not only offers its residents a secluded enclave of elegance and style but also indulges them with the most breathtaking views across Biscayne Bay. The exquisite residences at One Paraiso feature, wide private terraces with glass railings for unobstructed views accessible from living rooms and master bedrooms; private elevator access and entry foyers in all units; in addition to floor-to-ceiling windows with panoramic views of Biscayne Bay and Miami Beach. Established in 1979, Related Group is Florida’s leading developer of sophisticated metropolitan living and one of the country’s largest real estate conglomerates. Its innovative residential developments, that reach cross-market sectors, have dramatically altered South Florida’s urban landscape. Since its inception, the privately held company has built, rehabilitated and managed more than 90,000 condominium and apartment residences. 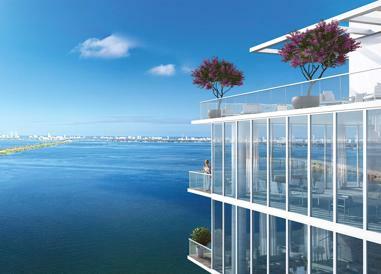 The Miami Edgewater district is becoming a destination for luxury and modern living featuring amazing views of the Biscayne Bay and Miami Beach. Located between the MacArthur and Julia Tuttle Causeways, the Edgewater District is the new cool, upcoming destination for shops, restaurants and in close proximity to the Miami Design District. One Paraiso premium bathrooms include: Premium European cabinetry with designer details; imported vanity countertops and full-size mirrors; double designer vessel bowl lavatories in master baths; spacious soaking tubs and frameless glass-enclosed showers in master baths in all residences and imported marble flooring, base, and walls in wet areas – Powder rooms in most residences. Expansive pool deck on the 10th floor with a lap pool, zero-entry pool, infinity edge spa, experience spa, cabanas, grilling area and tennis center with two lighted courts. 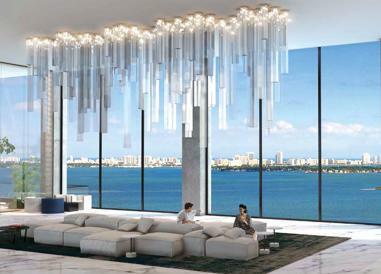 Double-height lobby with direct views of Biscayne Bay. 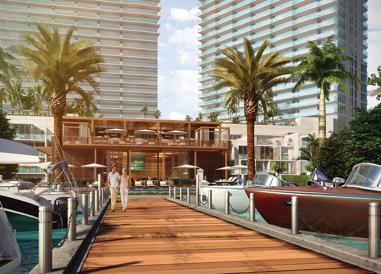 Planned waterfront beachclub restaurant operated by renowned chef Michael Schwartz. Two full floors of amenities on the 10th and 11th floors: party room, business center, library, wine tasting salon, theater, and children’s playroom. Sq Ft Range: 1124 - 1873 Sq. Ft.